If my calculations are correct, with his second Super Bowl appearance as head coach of the New York Giants this week, Tom Coughlin has now made the Super Bowl two fewer times than he’s been on the verge of getting fired. The Giants hired Coughlin in 2004 to be a bad cop, to instill discipline in their organization before some other, less grating coach took over for the fun winning part. Instead, he’s managed to stick around for eight seasons, making him the fifth-longest-tenured coach in the NFL, never dominating the league or earning too much acclaim but never getting canned, either. How has he done it? Mainly because you, sports fan, unless you’re a die-hard Giants follower, rarely think about Coughlin at all. When you think of the Giants, you think of Eli Manning, or their killer pass rushers, or even kicker Lawrence Tynes. You don’t think of the crumply elderly fellow on the sidelines. Coughlin is a guy in charge of his team, but quietly so. That helps a lot in the NFL, a league in which being a coach with big ideas and an ego to match can often backfire. Think of Tony Sparano’s wildcat offense from four years ago; 33-year-old Josh McDaniels’s overreaching Beli­chick imitation with the Broncos in 2009; or, going further back, the heralded schemes of Mike Martz, Eric Mangini, and Bobby Petrino. Those guys weren’t charlatans, but neither were their opponents, and eventually other teams caught up. Some proved one-trick ponies who couldn’t respond in turn to the rest of the league’s adjustments. Others were stuck with owners and general managers who, skittish about bad press and eager to find the next shiny new thing, fired them before they had a chance to do so. In this environment, Coughlin hides in plain sight. No one has ever accused him of being a “new” anything. He’s the ultimate expectations manager. He’s never ­considered the centerpiece of his team—unlike, for example, ­McDaniels, who made sure ­everyone in Denver knew he ­unequivocally was the one in charge, and lasted a season and a half. Coughlin, by contrast, has even appointed a “leadership ­council” of players to interpret his commands for the team. Imagine Bill Parcells doing that. A lot of this is because of the ­nature of the Giants, a franchise that’s made a pointed decision to avoid both Rex Ryan–esque self-aggrandizing (a kind of high-risk, high-reward approach whose risk side we’re seeing plenty of right now) and the hair-trigger freakouts of a team like the Raiders (currently on their seventh coach in almost ten years). 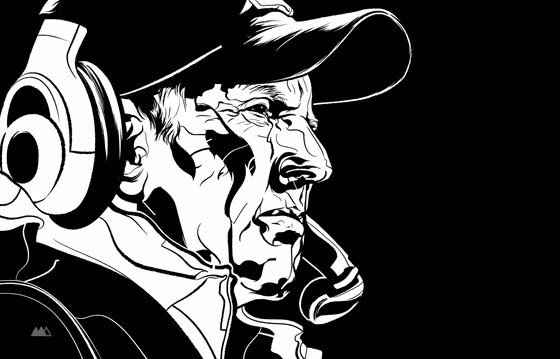 Coughlin, who has gone from looking like a drill sergeant to a college professor as he has aged, has come to fit that approach perfectly: He’s good enough at the actual coaching part of the job to take advantage of ­opportunities when they arise, and unassuming enough to not cause excess panic. The Giants have been somewhat inconsistent during Coughlin’s tenure—even during this season. He hasn’t been an exceptional coach, a charismatic coach, or even a particularly inspired coach. But that has, oddly, helped make him a great one.